Coach Andy Chong has used his playing and coaching experiences to fine tune a program that can help badminton players to reach their full potential. In this comprehensive DVD, Andy takes his team through numerous skills and drills designed to develop the most important aspects of badminton. Among the topics covered are: equipment, warm ups, warm up strokes, the smash, net play, aggressive doubles drills and games, doubles formation, singles drills, smash accuracy drills, deceptive doubles service return, wall drills and more. This DVD is a must-have resource for every badminton coach and player. 66 minutes. 2019. Andy Chong has been playing badminton since he was 11 years old. He has been representing Malaysian badminton since he was 16 years old. In 1983, he was named Malaysian Sportsman of the Year. For over 20 years, Andy won several badminton championships in Asia and throughout the world. He has previously been ranked #1 in the USA in both singles (1991-93) and mixed doubles (1991-2002). Andy's coaching accomplishments are equally impressive. He has been the Club Professional in numerous top clubs throughout the world. Chong is one of the few Level 4 High Performance Coaches in the United States. Andy was the USA Badminton National Coach of the Year twice, in 2009 and in 2011. He has led many US Teams in international tournaments. 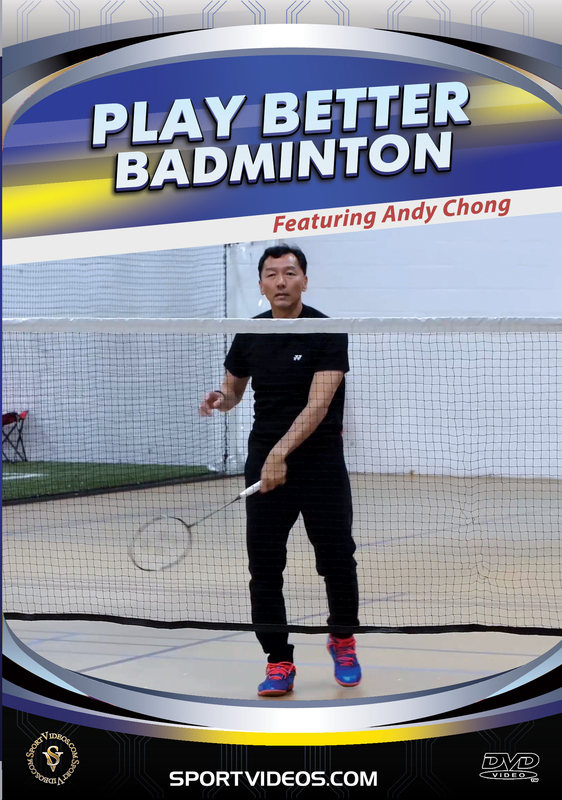 Andy Chong is currently the Owner/President of AC Academy (acacademybadminton.com) and Head Coach at Mill Works and Boston Badminton in Massachusetts.